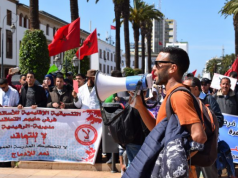 Rabat - Morocco’s Ministry of National Education has announced the opening of early retirement for teachers in the 2019-2020 academic year. 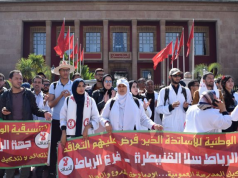 Rabat – Morocco’s Ministry of National Education has announced the opening of early retirement for teachers in the 2019-2020 academic year. A statement from the ministry said that the decision is part of its guidelines to define the mapping of human resources and identify shortcomings. The decision is also part of the preparations for the next academic year. The ministry pointed out that public servants who wish to benefit from early retirement, should submit their requests to their superiors with all necessary documents before October 15. A regional commission will review the files and decide on the final list of beneficiaries by October 19. The statement added that education professionals can download applications from https://retraite.men.gov.ma. 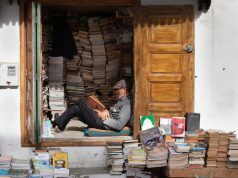 The Moroccan government has introduced programs and reforms to improve education and to overcome challenges, such as the high school drop out rate. 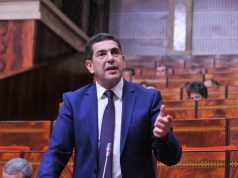 Minister of Education Said Amzazi introduced his strategy and a set of programs to promote education during a presentation before King Mohammed VI on September 18. During the presentation, Amzazi presented the King with the report and executive program on supporting schooling and implementing the reform of education and training. The program will cover several axes that aim to ensure access to education for all youth. Recently, the minister also shared statistics of children enrolled in preschool education. According to the minister, the current percentage of children enrolled in preschool is 49.6 percent. The new reforms include the opening of 4,000 new pre-school classes in public primary schools to accommodate 100,000 additional children. The ministry is also planning to train 65,000 new teachers to promote the quality of education.